Combining friction, static energy and capillary effects to absorb, trap and remove dirt, oils and surface moisture. Used dry, this cloth will absorb and retain all loose dirt and dust particles and used damp, it will ensure the removal of the majority of dirt residue from hard surfaces. 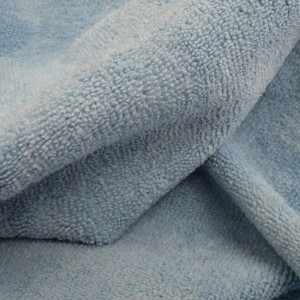 This cloth is also used in our Perfect Finish kits to apply the Surface Cleaner and Activator Spray. This cloth is ideal for applying Paint restorer, Reflections, Vinyl Dressing and Active 3 as well as many other general purpose cleaning uses. Guaranteed for a minimum of 300 laundry cycles.